Training and development is a facet of human resource management concerned with bettering the performances of individuals and groups in the organizational setting. The author of one of the most widely read human management books, Dale Beach, defines training as an organized procedure that teaches people the knowledge and/or skill they need for a certain purpose. Training activities sponsored by organizations may be voluntary, but oftentimes, the organization makes it compulsory for its employees to join these training workshops. 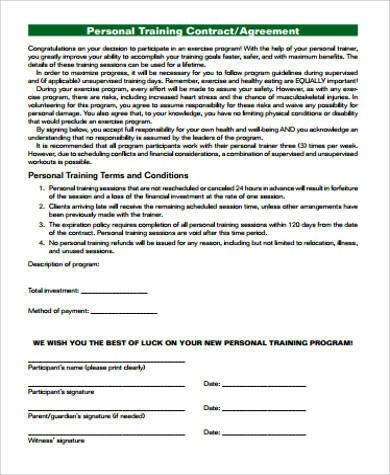 Either way, participants will first be required to sign a form stating that they agreed to join the training and participate in its activities. 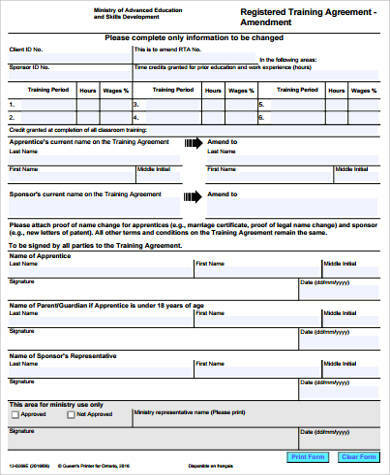 Check out our Sample Agreements here for a look of how these forms might be formatted. “Training” and “development” are two terms in human resources that is mistakenly perceived to be interchangeable. Training is defined by Dale Beach, author of Personnel: The Management of People at Work, as the organized process that teaches people skills and knowledge necessary for a certain purpose. While training is focused on solving present issues, development is the long-term process that seeks to meet the future needs of an employee seen as an asset and grooms them for executive positions down the line. Changes in the Environment. When an organization is introducing new technologies and tools to the workplace, it is important to conduct training so employees would be introduced and acquainted with these changes. Improve Human Relations. Teamwork is important for the different people and departments to function as they should. Change in Job Assignments. 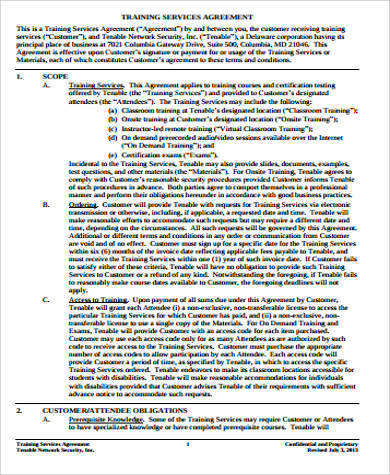 Training, or an in-depth orientation of sorts, should be given to employees who are given new tasks, are promoted, or transfered to new departments. Conduct Training Needs Analysis. 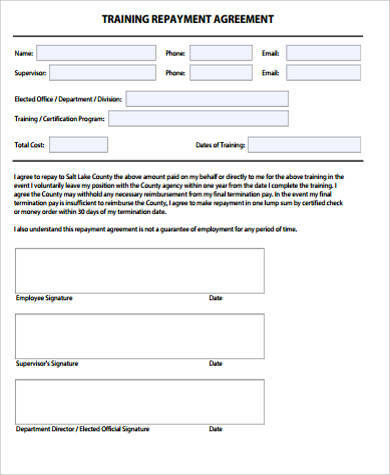 Conduct surveys, hold interviews, or perform a pre-training analysis. Determine what are the gaps in performance and what is the reason behind them. Make a Training Design. Figure out what appropriate methods should be utilized during the training workshop. 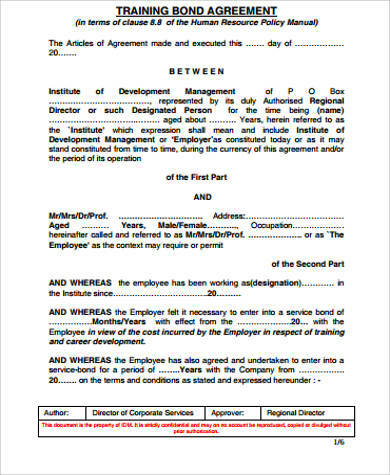 For example, administrative assistants in an engineering company might have to participate in a legal language training to improve the Construction Agreements they’d have to draft. Perform an Assessment. Assess if participants learned what they were meant to. Perhaps those in the legal department could be assessed by being asked to write up Sample Contract Agreements. 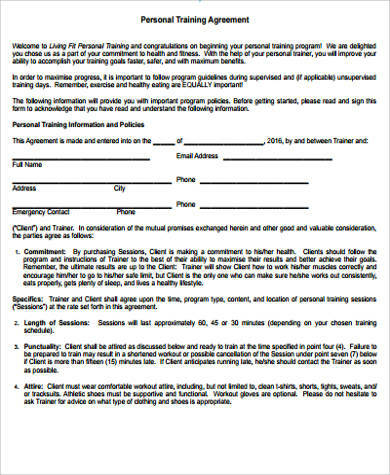 This is a waiver signed by participants stating that they voluntarily joined the training program, will participate in the activities they have to, and that trainers will not be responsible for any injuries that may be obtained during training. 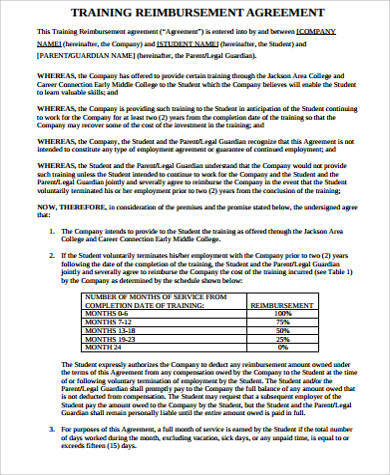 Sometimes, it might also include a confidentiality clause that prohibits the participants and trainers from disclosing information about each other that they learned, especially during the refection activities. 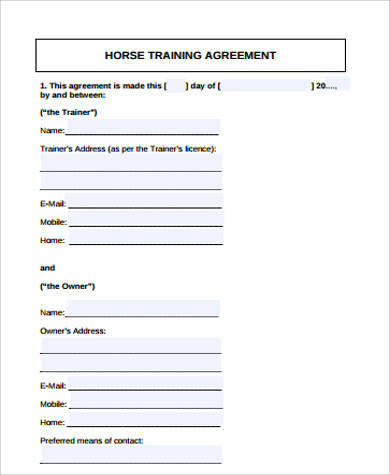 For more information, see the Personal Confidentiality Agreements.